Welcome to section “Men’s fantasy costumes”. 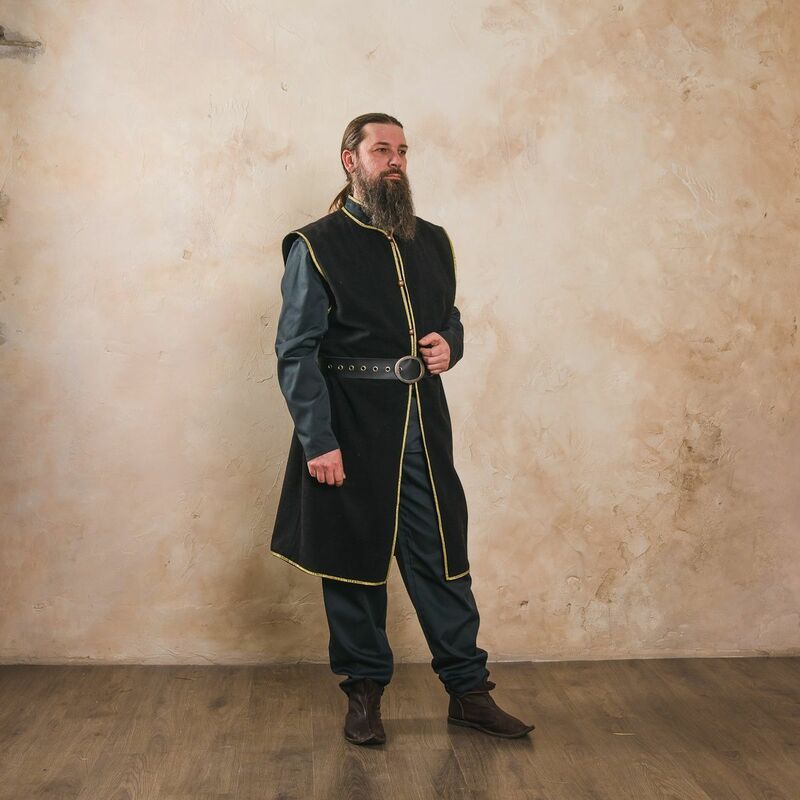 Here you can see outfit of popular characters, which will be perfect for LARP, theme parties, masquerade or memorable photo-shoots. We make every costume by hands according to the individual parameters of customer for better fitting and wearing. If you have any difficulties with choosing, please contact our manager. We will help you to specify your size and required model. If you did not find the wished costume in this section, we can make it individually for you. Just send picture with detailed description to [email protected] Then we will advise you price and discuss details of order. Traditional wearing of warrior includes pants with lacing on the waist and wide shirt of soft fabric. Sleeveless knee-length cotta is worn over the shirt. Some models of tunic had lacing or buttons for fastenings from the front. Usually, cotta had another colour, than shirt and can be belted. Outfit of elf is similar to warrior’s one, but has more elegant cut and decoration. Combination of several types of fabric and different decorative elements are used for such garb. Shirt and cotta have slim fit. Comparing to elf’s clothing, clothing of dwarf looks more comfortable and simple. Long wide cotta does not hinder the movements and is worn over the shirt and pants. Cotta is made of soft wool, which fit good. Bottom edge is decorated with ornamented trim and lacing on the sides. Cheerful and thrifty hobbits became very popular and recognizable characters thanks to J.R.R.Tolkien. 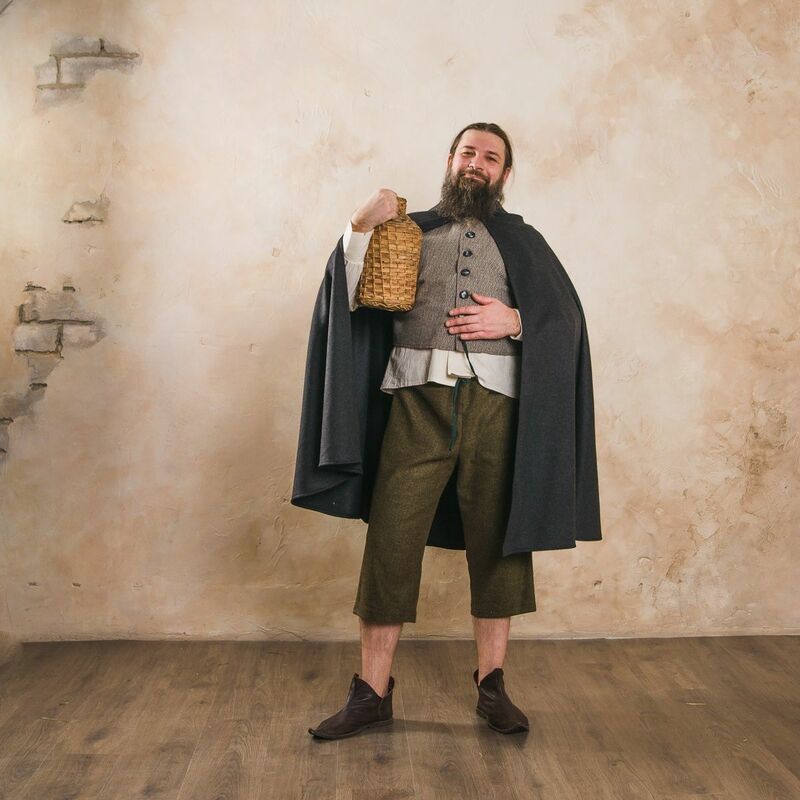 It is very easy to wear costume of Halfling and feel yourself a real adventure seeker. Hobbits were wearing shortened pants, as their feet were covered with thick fur. Every self-respecting hobbit worn waistcoat with buttons. He could place favorite pipe or magic Ring in the pockets of this waistcoat. And, if he suddenly had to leave his house and set off, hobbit was wearing woolen cloak with hood. Besides, such coat protects of wind and rain so good! Clothing of a wizard was very original. Magician could be easily recognized for his pointed hat with wide brims. Colour of hat usually depended on the magic skills of owner. Wizards were wearing long simple tunic with flared sleeves. It usually was belted with rope or leather belt. Long cloak was an ideal upper clothing for long trip, as wizards do not love to stay at one place for a long time. Hood could hide a face and allowed magician staying unrecognized in a crowd.